This edition of Featured Journeys: All-American Patriotic Road Trip takes us on a journey along the East Coast of the U.S.A. 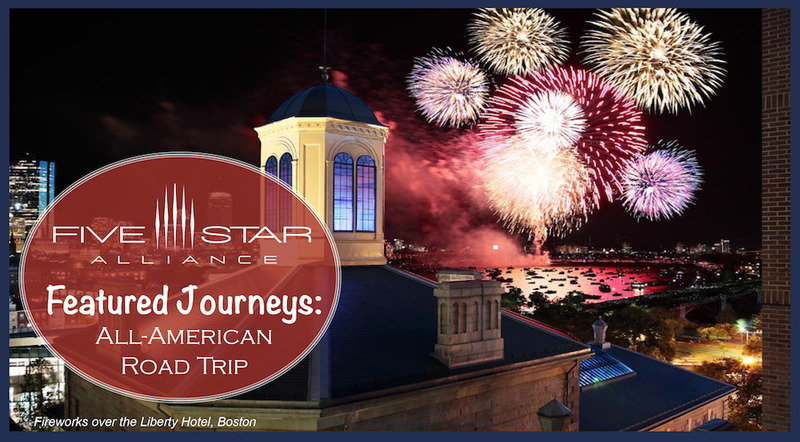 The journey begins in Boston to explore historic sites and iconic attractions, then it's on to New York City for the Statue of Liberty, Broadway Shows, and famous pizza. Next up, Philadelphia, home of the new Museum of the American Revolution and the Liberty Bell. The road trip wraps up in the capital city of Washington, D.C. Whether you choose to travel via car, rail, or air, this journey offers an itinerary filled with history and must-see attractions, along with top luxury hotel choices to start and end each day in pure comfort. One of the country's oldest cities, Boston is a walkable city known for history and seafood. Begin your trip with a walk along the 2.5-mile Freedom Trail, where you'll visit 16 iconic landmarks while walking along a red-lined trail. Explore museums, churches, meeting houses, and burying grounds with historical significance, including King's Chapel, Faneuil Hall, Old State House, Paul Revere House, the site of the Boston Massacre, and Bunker Hill Monument. While you're here, be sure to try some local seafood, perhaps at the city's oldest restaurant, Ye Old Union Oyster House, a National Historic Landmark. You'll also want to try a cup of clam chowder, and maybe some Boston Cream Pie. If it's summer, head to Fenway Park for a one-of-a-kind baseball viewing experience at the national's oldest Major League Baseball Stadium or visit Boston Common and go for a swan boat ride. Those who love to shop will want to visit the boutiques along Newbury Street. Spend the night in a former jail at the Liberty Hotel. Formerly the Charles Street Jail, the property is considered one of the best examples of "Boston Granite Style" from the mid-19th century. Transformed into a luxury hotel in 2007, The Liberty has 298 guest rooms and suites featuring playful nods to the building's past, the Clink restaurant serving seafood and New England fare, Alibi serving cocktails and late night snacks, and the Liberty Bar. Editor's note: this is an extremely pet-friendly hotel with "yappy hours" and special amenities for four-legged friends. Reigning over the historic Beacon Hill neighborhood, Fifteen Beacon is luxury boutique hotel set within a turn-of-the-century Beaux Arts Building. Focused on discreet service and bespoke amenities, the property mixes modern with an original caged-glass elevator, grand marble staircase, and mahogany paneling. The property's Mooo...restaurant offers a modern take on a steakhouse menu with regional influences, warm lighting, and sleek furnishings. Since opening in 1912, the Fairmont Copley Plaza has been an iconic Boston landmark. Situated in Boston's historic Back Bay, the property is located along the Freedom Trail, steps from the Boston Public Library, Newbury Street boutiques, and Copley Place Mall. 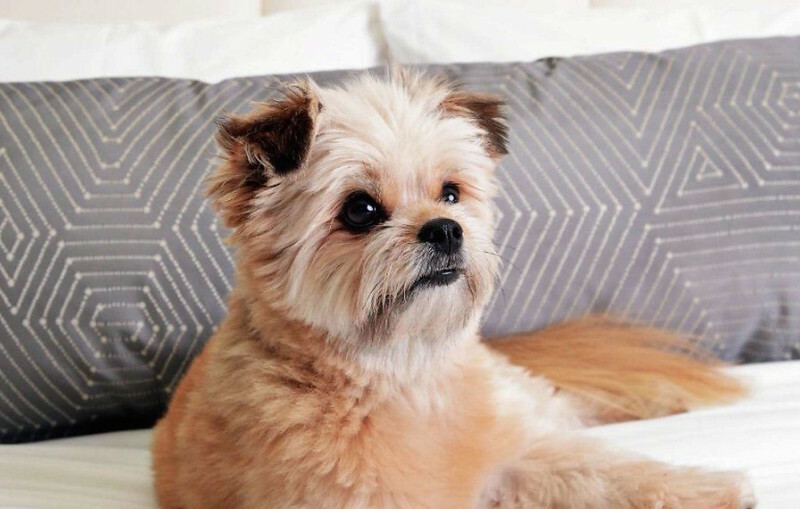 Carley Copley--the resident canine welcomes guests, and the hotel's 383 lavish guest rooms and suites are furnished in classic style infused with Boston influences. There's a rooftop health club overlooking the city, and the OAK Long Bar + Kitchen is an American brasserie serving locally-sourced cuisine. After exploring the historic city of Boston, it's time to head south to New York City. From Times Square and the Broadway Theaters, to Fifth Avenue's shopping, NYC is an iconic destination in itself. Central Park offers a retreat from the hussle and bustle, the Empire State Building features one-of-a-kind views of the metropolis, and a visit to the Statue of Liberty and Ellis Island provides visitors with a look at what life was like for the immigrants arriving in the 1800s. While you're here, be sure to a slice (or two) of New York Pizza, see a Broadway Show, and perhaps check out a baseball game at Yankee Stadium or Citi Field. 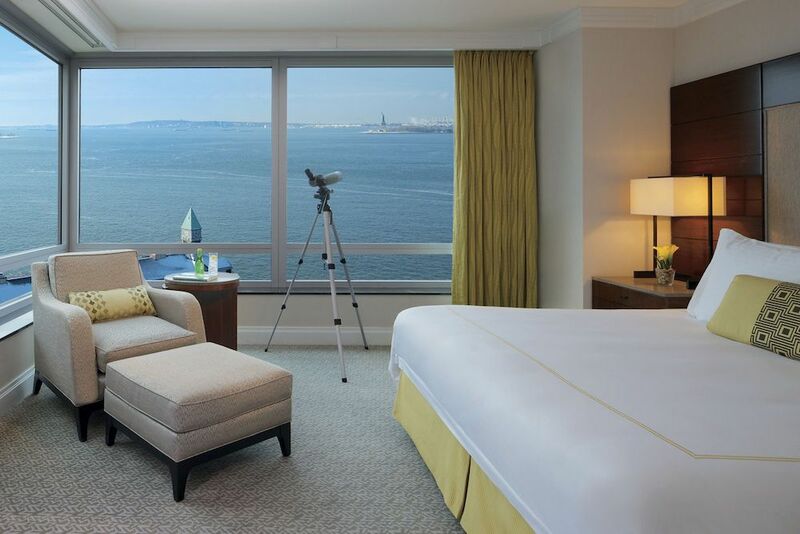 For a room with a view of the Statue of Liberty, The Ritz-Carlton, Battery Park provides an ideal setting. In the heart of the city's financial district in Lower Manhtattan, the hotel offers luxury accommodations with a waterfront setting. There's a full-service spa and fitness center, along with Ritz Kids programming and amenities, and the 2West modern American bistro. Steps from Battery Park and the Museum of Jewish Heritage, the hotel is perfect for business and leisure travelers. 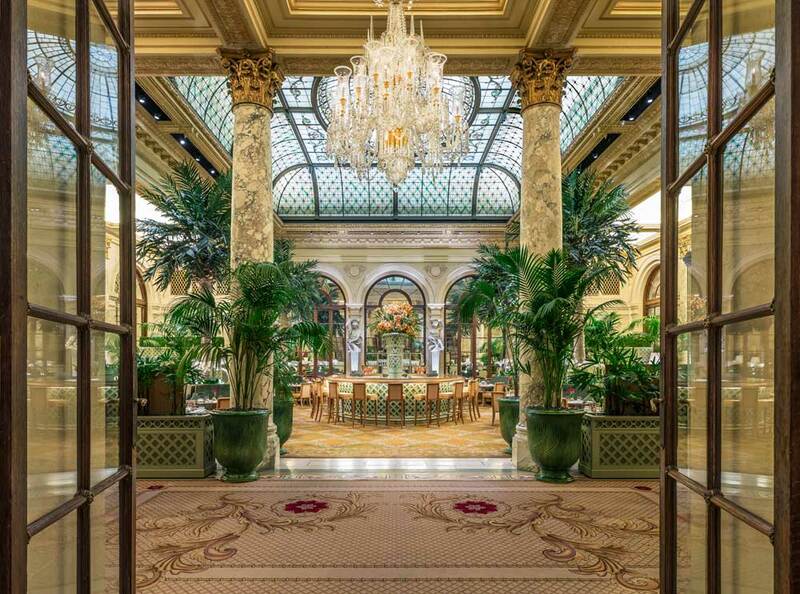 An iconic NYC landmark, The Plaza Hotel recently completed a major restoration transforming the property into a historic luxury hotel infused with a contemporary spirit for the modern traveler. Guest rooms and suites feature in-room iPads for visitors to control their entire experience, and suite guests receive 24 hour butler service. The Palm Court serves a legendary Afternoon Tea, and new offerings include the Champagne Bar, stylish Rose Club, The Todd English Food Hall, and The Plaza Food Hall. Close to the Flatiron District and Gramercy Park, The NoMad Hotel is nestled within a turn of the century Beaux Arts building. Featuring a boutique style setting by renowned French Designer Jacques Garcia, the chic guest rooms have custom-designed furnishings and original artwork. Public spaces are designed as gathering spaces, and the hotel's restaurant serves casually-elegant food and beverages by acclaimed Chef Daniel Humm and Restauranteur Will Guidara, founders of the critically acclaimed Michelin three-star rated Eleven Madison Park. Next stop, the City of Brotherly Love. On the Five Star Alliance's List of "17 Places to go in 2017", and founded by William Penn in 1682, Philadelphia is a must-see for history enthusiasts. The Independence National Historic Park is home to the Liberty Bell and Independence Hall, where visitors can stand in the room where the Declaration of Independence was drafted. Two blocks away, the newly opened Museum of the American Revolution, provides guests with an in-depth look at how the country gained its freedom with interactive exhibits and historic artifacts like George Washington's tent. 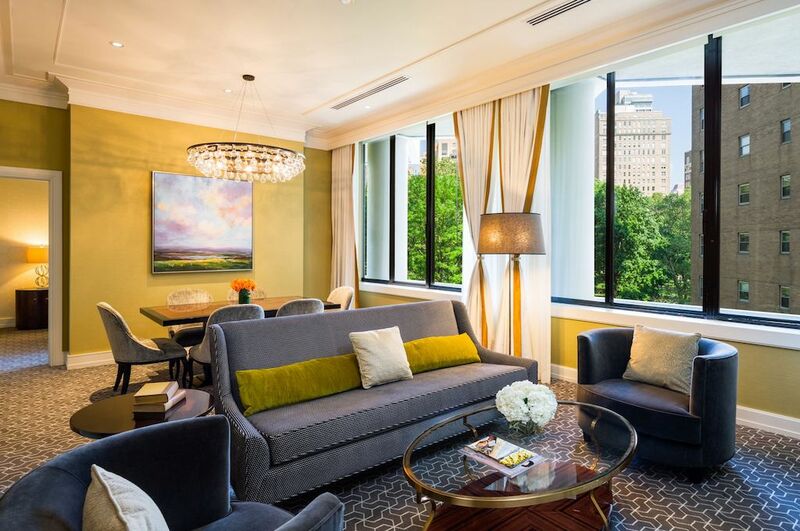 Situated within an Art Deco-style building, Hotel Palomar Philadelphia provides a city center location in the popular Rittenhouse Square neighborhood. 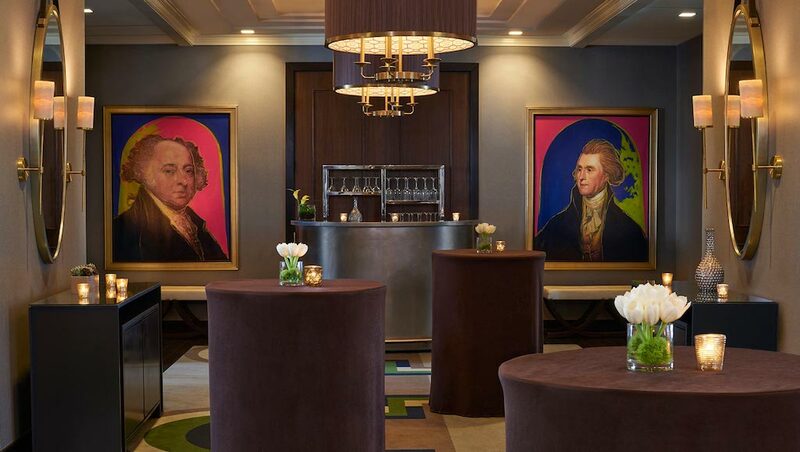 The eco-friendly property features a variety of art infused with political and historical figures, including three brightly-colored Ben Franklin effigies, the Square 1682 restaurant with chef-prepared new American cuisine, and daily hosted wine hours. Almost as iconic as the city itself, the Rittenhouse Hotel towers nine stories above Philadelphia. Guest rooms and suites are spacious, and the hotel offers family travel amenities such as welcome gifts, children's bathrobes, baby bathtubs, in-room movies and popcorn, and a copy of the book, "Goodnight Philadelphia". There's also Afternoon Tea, brunch, and fine dining at LaCroix, and the Rittenhouse Spa and Club with Hair by Paul Labrecque. 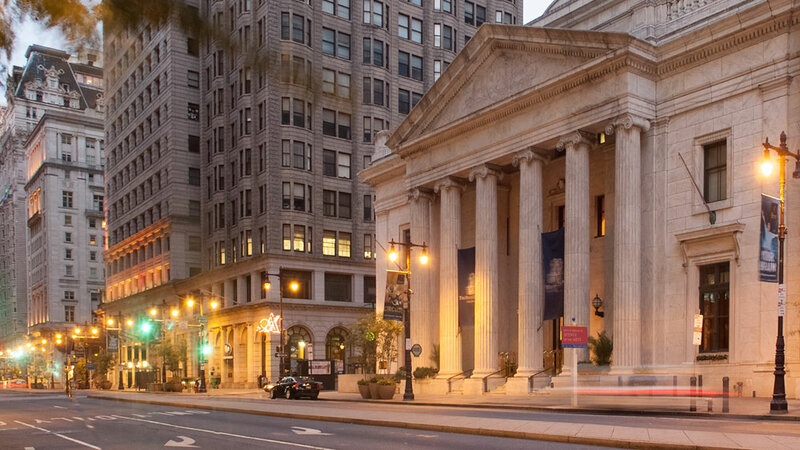 Steps from the Liberty Bell and Independence Hall, The Ritz-Carlton, Philadelphia is set beneath the marble dome of a former bank building. 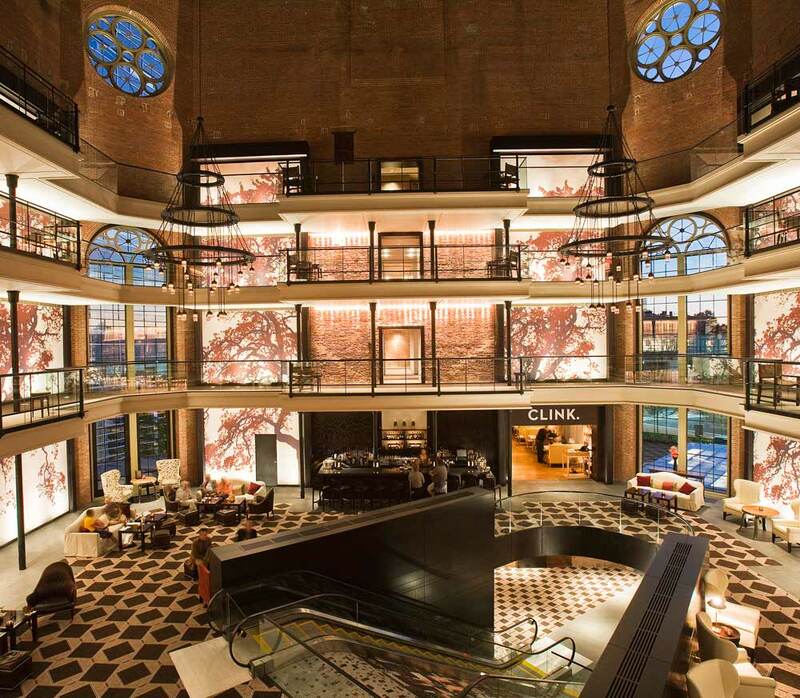 Originally built as a reconstruction of the Pantheon in 1908 by the Girard Trust Company, the hotel recently completed a $25 million redesign. The refreshed property offers reimagined modern guest rooms and suites, Club Lounge, and a revitalized lobby with Aqimero--a new restaurant, bar, and lounge. The final stop of this Featured Journey takes us to the nation's capital city. From the White House to the National Mall, the city offers iconic landmarks and sites to see. The Smithsonian Museums provide free admission, giving visitors the opportunity to explore as many of the museums as time allows. During the summer months, take in a Nationals Game or go kayaking along the Potomac Heritage National Scenic Trail. To learn more about the country's government, visit the Capital's Senate and House Chambers, then be sure to stop and enjoy the views of the memorials along the National Mall. For shopping, head to Georgetown with an array of international and local boutiques, and check out one of the city's rooftop bars for a nightcap with one-of-a-kind vistas. Overlooking the White House, The Hay-Adams Hotel offers accommodations with iconic views, including the White House View Room (shown above). Built in 1928, the iconic hotel housed in an Italian Renaissance-style mansion features original details like high ceilings, ornate plaster moldings, and a walnut-paneled lobby. Close to the city's top attractions, the hotel's Lafayette Restaurant has fine dining with views of Lafayette Park, the Off the Record Bar is popular with politicos and visitors, and children receive nightly turn-down service with milk and cookies. Fresh off a $200 million renovation, The Watergate Hotel provides an urban retreat in the Foggy Bottom neighborhood. The infamous hotel features the Top of the Gate--a rooftop bar and lounge with panoramic Potomac views, Kingbird restaurant, and The Next Whisky Bar. Plus, the Argentta Spa with the hotel's original indoor pool, along with a fitness center and barre studio. Five Star Alliance Perk: Guests booking through Five Star Alliance receive a $50 hotel credit to use during their stay. Perched above one of the city's most vibrant neighborhoods, The Dupont Circle Hotel offers spacious and contemporary accommodations. Rooms on the hotel's LEVEL NINE provide elevated luxuries, private glass-walled balconies, and memorable city views. Cafe Dupont serves an American menu wtih French influences, and Bar Dupont has a happy hour popular with the cosmopolitan after-work crowd. Would you like to receive emails with more Featured Destinations? Sign up for our newsletter. In honor of #NationalDogDay, we put together a list of three of our favorite dog-friendly hotels in the U.S. Check out the pet-friendly guest rooms and amenities below at Boston's Liberty Hotel, the Delano Las Vegas, and the historic Hotel del Coronado. Pick a destination and head off for an adventure with your favorite four-legged best friend. Situated at the foot of Beacon Hill in a former prison, the Liberty Hotel offers pet-friendly amenities with dog beds, dishes, and in-room comforts. Plus, there are dog-friendly happy hours hosted during the warmer months in The Yard, an outdoor social space. Pups and their owners will love strolling the nearby neighborhood, which includes Boston Common, Charles River Esplanade, Newbury Street shops and restaurants, along with Beacon Hill boutiques and eateries. Guest accommodations feature Boston-inspired styling with warm wood accents, crown molding, and views of the historic city. Right on the strip, the Delano Las Vegas is a luxury boutique hotel is set within the Mandalay Bay resort complex. The hotel offers dog-friendly signature suites with a tastefully crafted doggie room service menu which offers Canine Scramble, Bow Wow Burgers, and Chow Hound Chicken Hash. The Doggie Butler Service offers check-ins on pets throughout the day, fast breaks, and daily walks finished with treats. Plush and Pampered options include feeding and changing the water, brushing, and spending time with pets in the room. Dogs (and their humans) will love the separate living area with seating for five, floor-to-ceiling windows with mountain views, bedside stereo systems with docking and charging outlets, and wet bars with stocked minibars. Set on Coronado Island in the San Diego Bay, the Hotel del Coronado’s Del Dogs and Cats program offers a range of pet amenities including gourmet room service, Del-ightful dog and cat treats upon arrival, and gourmet room service for dogs and cats. There’s also in-room water and food bowls, pet beds, kitty scratching pads, and waste bags or litter boxes. The hotel provides specialized bedding, crates, collars, and leashes for use during their stay, and there are Yappy Hours every Sunday with complimentary Evian for dogs and pet-inspired drinks for their owners. There’s a dog beach less than 1 mile from the historic hotel, and pet-walking, pet-sitting, dog grooming and veterinary services are available. The Hotel del Coronado offers luxury beachfront accommodations within the historic Victorian building built in 1888, as well as the contemporary Ocean Towers, California Cabanas, and the Beach Village at The Del. There are multiple dining options from casual to upscale, including the famous brunch in the Crown Room. Located on Boston's waterfront, near the Financial District, Seaport District, and North End, the Boston Harbor Hotel has just completed a renovation of it's 230 guestrooms and suites. Being Boston's only five-star waterfront property, the hotel's location is now carried throughout the rooms with a coastal redesign. 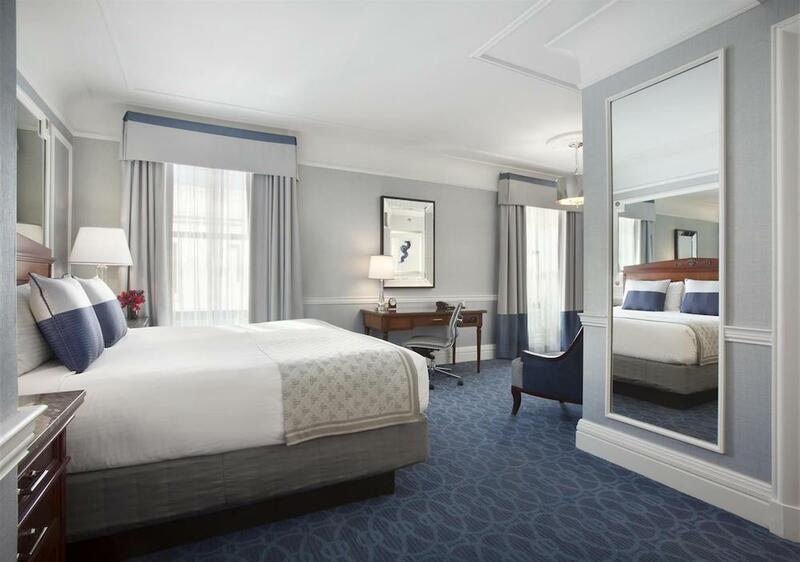 The redesign of the rooms followed the recent renovation of the hotel's wine-centric restaurant, Meritage Restaurant + Wine Bar, as well as the Rowes Wharf Health Club & Spa. Among the renovated guestrooms is the 1,400 square foot Presidential Suite. The 16th floor suite has new furnishings (including a 56-inch curved flat screen television and dining area for 8), bespoke amenities (a fully-stocked wet bar), and views of Boston's waterfront. Harbor-inspired art highlights the location of the Boston Harbor Hotel within the city. Similarly, it has spaces for entertaining and relaxation, especially with a private balcony overlooking the harbor. Traveling with your pet? Nine Zero Hotel offers a pet package, Tail in One City, so your furry family member feels at home at this pet friendly hotel. Nine Zero Hotel is surrounded by some of the best dog walking spots in the city. Just across from the hotel is Boston Common, a pet-friendly 50-acre public park. Amidst the bustle of commerce and sightseeing, Fifteen Beacon is a haven of serenity. Relax in a marble bathroom that features a combination rainforest shower and deep jetted tub, heated towel rack, and custom designed amenities. We at Five Star Alliance work tirelessly to ensure we bring you the best luxury hotels selection and information regarding amenities, location, and highlights so you are confident that the hotel you choose will exceed your expectations and serve your needs. Sometimes, however, you are left with a few questions that go unanswered, and that's why we’re here. Be sure to explore our blog series Your Questions Answered to find answers to real questions submitted to us by our clients regarding traveling with kids, pets, the best beach hotels, and much more. QUESTION: Can You Recommend a Romantic Hotel in Atlanta? ANSWER: Grand Hyatt Atlanta in Buckhead is set within the upscale uptown neighborhood of Buckhead. Spacious, renovated guestrooms include irresistible Hyatt Grand BedsTM, state-of-the-art fiber-optic Internet and sleek flat screen HDTVs. Enjoy views of the Japanese Zen Garden at Onyx at the Grand, savor renowned Southern cuisine at Cassis, or treat colleagues and guests to the culinary expertise of the outstanding catering staff. Suite Unwind within the spacious 1,240-square-foot accommodations featuring stunning views of Stone Mountain and downtown Atlanta. Entertain graciously in these handsomely appointed accommodations that include sitting, dining, and work areas as well as a marble foyer. Allow the professional food and beverage staff to serve dinner from the kitchenette. Luxuriate in the master bath offering a Jacuzzi, marble vanity, and deluxe Portico bath products. Slumber blissfully on one king-sized signature Hyatt Grand Bed™ fitted with sumptuous linens Additional amenities within these superb accommodations include iHome stereo with iPod® docking station, 42” flat screen HDTV, 24 hour in-room dining service, a safe large enough to store and charge a laptop computer, and easy video checkout. Red Sox fans, this is the hotel for you! Some of Hotel Commonwealth's rooms look right out onto historic Fenway Park. Your Questions Answered: Can You Recommend a Boston Hotel That is Family-Friendly and has Balconies? QUESTION: We are a family of 4 and looking to stay is Boston, MA. What hotel with rooms with balconies offers the best accommodations for our family? Inspired by Boston’s revolutionary spirit, Revere Hotel Boston Common breathes new life into the space formally inhabited by The Radisson Boston. 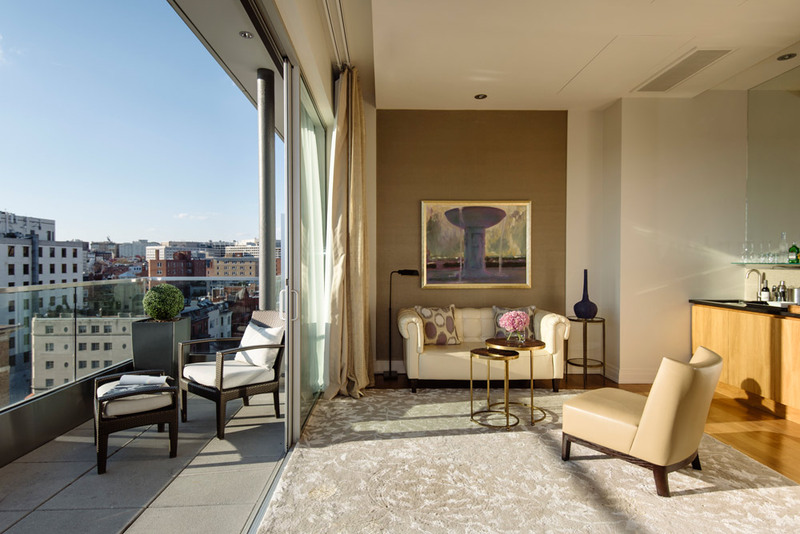 With Northwood Hospitality at the helm, the property has undergone a theatrical transformation of its own, emerging a completely new and re-imagined luxury hotel. 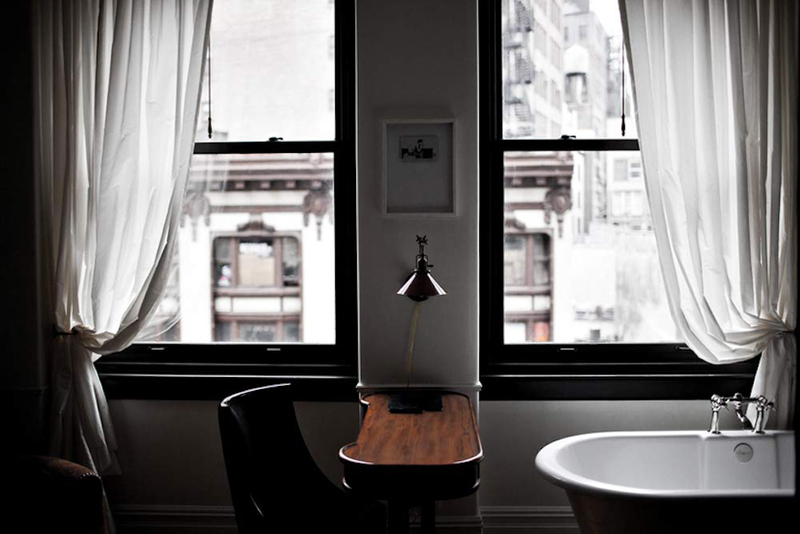 Inspired by the city and encouraging the spontaneous, the hotel offers all the warmth of home in an eclectic setting. From high-octane to easy-going, the experiences at Revere Hotel are nothing less than intoxicating. Explore Boston at your own pace and discover something new on every street. Borrow a Kindle and kick back on the houndstooth chaise lounge in your room – feel free to admire the twinkling city below in between chapters. Find yourself surrounded by the fabric of the city with a carefully-curated collection of Boston-centric products. 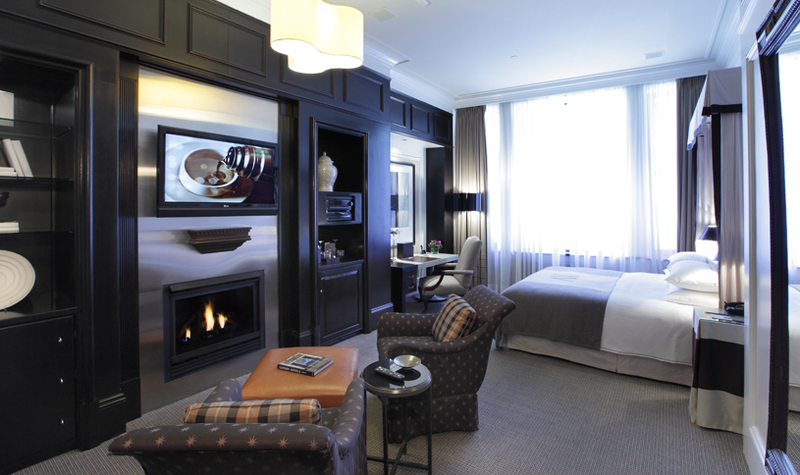 Epitomes of livable glamour, the guestrooms are the perfect hub for any Boston experience. Echoing the stunning skyline views out the window, the details in each room are thoughtful and carefully curated. From hardwood entryways to easy-to-reach outlets, the elements of the guestrooms seamlessly blend form and function. Harnessing the true spirit of the city, these Downtown Boston hotel rooms are ideal for anyone with a passion for experiencing the good things in life. Are you a hops-head? Always looking for the newest IPA or Lager? You're iln luck! Several Four Seasons properties in the US are pairing up with local breweries to create custom batches and service offerings. Four Seasons Hotel Seattle has a new custom beer is called Never Trust a Skinny Chef. ART Restaurant Chef Jelle Vandenbrouke is serving up some creative dishes, including Skinny Chef Ale ice cream, inspired by the pale ale. The beer itself was made by local nano-brewery NW Peaks, which specializes in small batches and new inventive experiments. ART has also customized the beer tap handle, in likeness of Executive Chef Kerry Sear. Santa Barbara may be known for its wines, but the region is also home to numerous microbreweries. Four Seasons Resort The Biltmore Santa Barbara has teamed up with the award-winning Telegraph Brewing Company to create its own signature beer. Served only at the Resort's Ty Lounge, the extra-pale ale was inspired by evenings spent strolling through the area's citrus groves. The ale's name, 1927, was chosen via social media. 1927 is also the year the hotel opened. Considering a Beantown wedding? Four Seasons Hotel Boston is offering those who book a ceremony at the hotel a break from the usual champagne toasts. Beer-loving lovebirds can choose from custom beer stations or a travelling kegerator. On offer are exclusively Boston-brewed beers, including Samuel Adams and Allagash Belgian White. Ifyou aren't getting married, but still want to take advantage of the beerfest, the package can be booked for other events.